TigerMin 3.3.0 has been released! This update comes with a whole lot of new features, a new design and many user requests have been processed. Below a list of the new features. Click an item to expand information. TigerMin was starting to get a little messy due to all the possibilities and features. For this release we have spent a lot of time and effort in making TigerMin nicer, more intuitive and better in user experience. Check out our demo to experience it yourself. This might just be the most requested feature and probably the coolest feature for this release. You can now bulk update an attribute for products directly from the product overview. Example: disable all products in a certain category, or update stock on 50 products at once, etc. Importing and exporting products is now extended with a bunch of new features. You can now add your own seperator, value boundary and your own escape character. You can now import nearly any CSV source with just a few clicks. You can now associate crossell and upsell products when adding / creating new products. To do so, add the fields cs_skus and us_skus to your form configuration. > NEW feature: cloning products from the product overview grid. This clones all data from the selected product to a new product, using enhanced Magento clone! 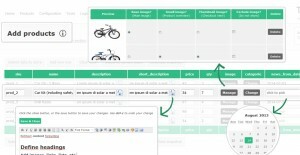 > NEW feature: Crossell and upsell selector, you can now associate crossell and upsell products. > NEW feature: CSV import now also allows field titles as header row. (this means you can now export a CSV from TigerMin and import the exact same file, as long as your form configuration has the same titles). For example: previously your CSV would need to have the attributename as header, so short_description was valid, Short Description wasn’t. TigerMin now allows use of other titles by checking the CSV header against the titels in your form configuration. > NEW feature: CSV export now uses HTML5 instead of Flash for compatibility and safety reasons Flash is now unused. If you don’t see the CSV export button on the productoverview grid, you must update your browser to a HTML5 enabled version. > NEW feature: CSV import now allows set of seperator, boundary and escape character. TigerMin now imports really any CSV format if you configure it correctly. > NEW feature: add ?exportmg to your url in the productoverview to export complete media gallery in TigerMin compatible format. 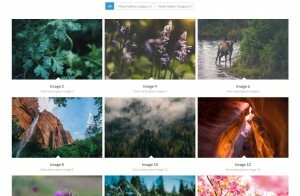 This means you can directly import all images associated to an product in TigerMin. > Fix: php 5 compatibility issue. > Fix: prefer CURL as communication to Emvee API for maximum compatibility. > A resell button has been added. Start reselling, earn money!